Guess Which Swamp Creature Just Signed A Major Book Deal - The Last Laugh? Guess Which Swamp Creature Just Signed A Major Book Deal – The Last Laugh? Well that didn’t take long! And we do know he has been taking really good notes at that White House. 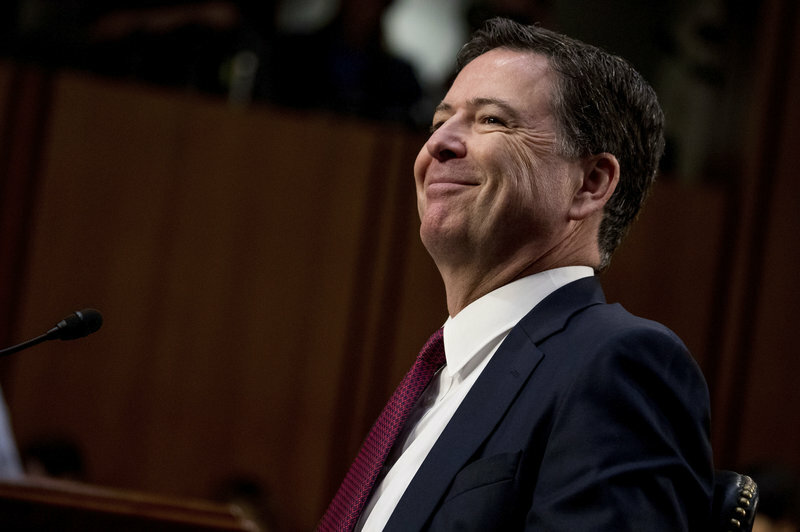 Former FBI director James Comey’s first book will be published in early 2018 and feature “yet-unheard anecdotes from his long and distinguished career,” according to publisher Flatiron Books. Comey was suddenly fired by President Trump in May, setting off a political firestorm over why it happened and whether the decision was linked to the FBI’s investigation into Russian meddling in the 2016 presidential election. Last month Comey was holding discussions with editors and publishers, and that the book was preparing to go to auction. “Mr. Comey was reluctant at first to entertain offers, but he later decided that he had something to say beyond a rehashing of his career highlights and low points, according to his agent”, according to The Washington Post. Publisher Flatiron Books describes the work, which is not yet titled, as an exploration of “what good, ethical leadership looks like and how it drives sound decisions.” It says it will draw on Comey’s experience as FBI director, U.S. Attorney for the Southern District of New York, and the U.S. Deputy Attorney General during the George W. Bush administration. The book will use “examples from some of the highest-stakes situations in the past two decades of American government,” according to the publisher. Hillary Clinton has said that she believes the letter Comey sent days before the election cost her the presidency. For his part, Comey was notifying Congress that the FBI was reopening the investigation about Clinton’s handling of classified information. However, the newspaper also pointed out that Comey is “known to be an assiduous note-taker.” That was evident in his statement to the Senate Intelligence Committee, where he references his habit of writing detailed memos after interacting with Trump.